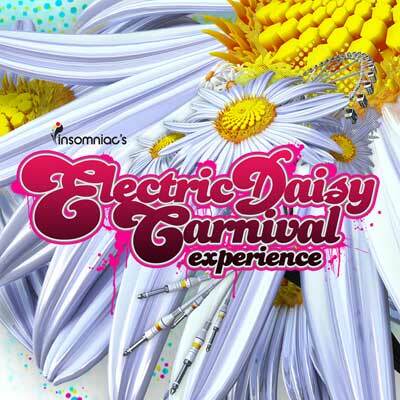 So, I am watching the Electric Daisy Carnival Experience again. It is a live concert documentary on the famous electronic music festival. Which is why I am watching it again. You get a real feel of the festival. The music, the culture, the event, the performers—are all on display. Costumes, colors, cacophony—all mixed together with care. The documentary shows what happens when people do what they love and love what they do. And love is the right word. You can sense it every time a DJ spins; every time a dancer dances; every time a singer sings; every time a performer performs. Music sets are interspersed between conversations with the creators. Or is it that the conversations are interspersed between the music sets? It doesn't matter. The documentary just flows. Every now and then, you get an insight into the mind of the people making this happen. Then you get the urge to dance with them. Artistry is in abundance here. Stitches in costumes are well sewn. Greasepaint has been applied with care. Beats bounce into eardrums with precision. It is a spectacle in the best sense of that word. Positivity, up-beat attitudes, friendships and compassion are in attendance. The other thing that is expressed? Acceptance. Which is wonderful. Everyone seems to fit right in, regardless of gender, age, look, color, creed or composure. I think this is an example for the world at large to follow. There is wisdom here too. Sage advice on expressing yourself without judgement and using failure to grow. Simple wisdom in letting go of your cares for now, and living fully in the moment of music. All of the performers have their own unique perspective—yet they all blend together into the the whole that is the festival. For some, it is a party. For others, it is art. For everyone, it is fun. Whether the air of the festival is filled with lights, confetti, hundreds of huge white balloons or fireworks, you'll feel the joy. Everything glows with energy. It is something to see. I wonder how they get it all to come together. So many different artists, each with their own style and habits. Yet you never get a feeling of jealousy or everyone just supports one another. Imagine if the world followed the Electric Daisy Carnival example—what a wonderful world it would be. I hope to attend the festival someday. I have plenty of simple excuses—no ticket, no money for a ticket, no costume—but these are just excuses. Simple fears that allow me the easy way out. Simple fears that others will look at me, laughing at how I dance. These fears will be overcome. They will run out, and before I know it, I will be standing there, looking at the fireworks. I'll be there. listening to the music. I'll be there, experiencing the art. And I'll be there, dancing to the beat. Who knows, maybe I'll see you on the dance floor sooner than both of us thinks is possible.